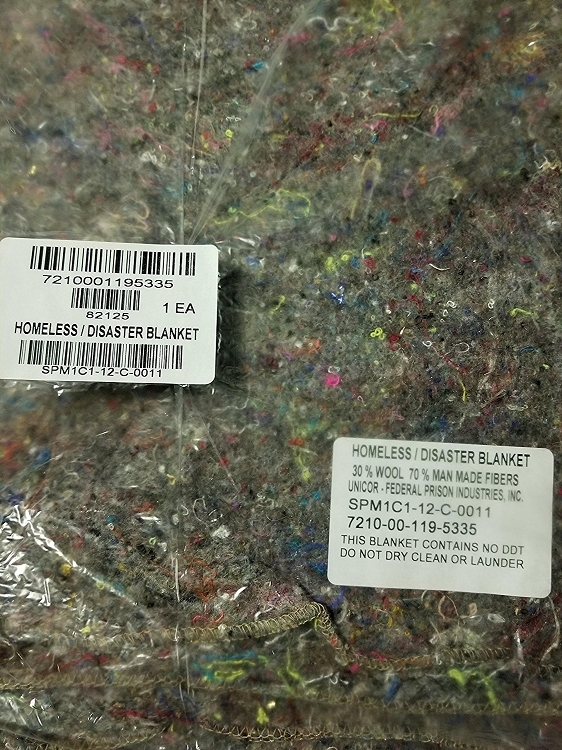 30% Wool, 70% Man Made Fibers Made in US Emergency Blanket - Homeless / Disaster 30% Wool and 70% Man Made Fibers 80" x 60" Sewn edges for longer use DO NOT DRY CLEAN OR WASH These blankets are great to have in the back on your car in case of an emergency. These are also a great addition to add to a blessing bag for the homeless. 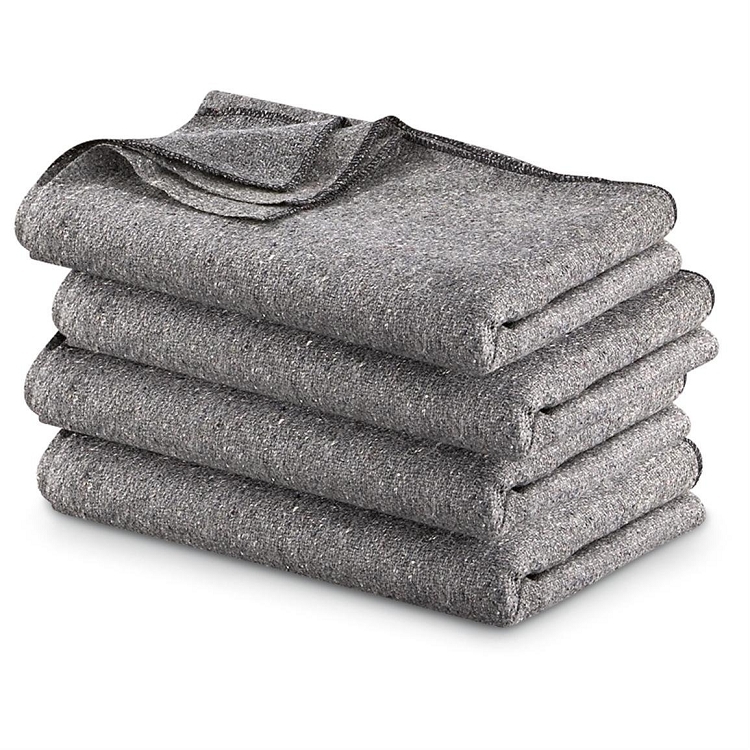 They are made of 30% wool and 70% man made fibers. They are light weight only weighting about 2 lbs 6 oz. They are Grey in color, but as you can see from the close up picture, they have color in them due to the man made fibers. They have top to bottom sewn edges which will help keep it from fraying.